The Oakdale Room plays homage to the elegance and style of which the house was originally built. With hand carved moldings & trim and an original plaster medallion from Italy, it's these details that set the room aside. 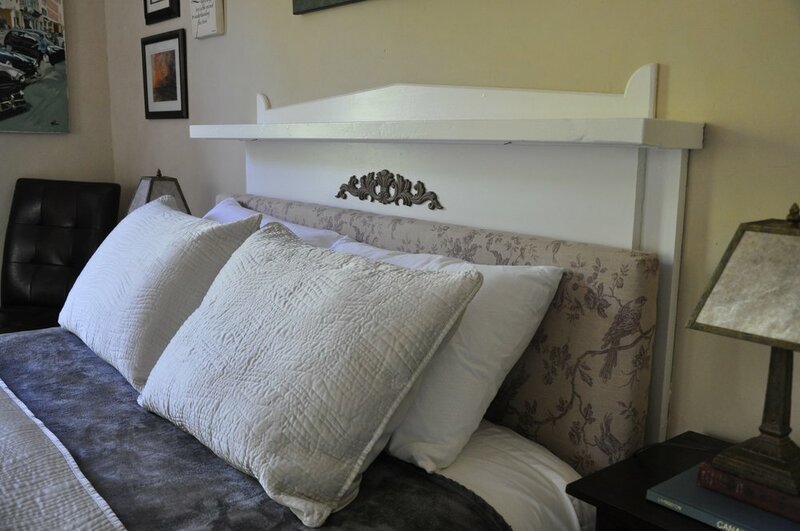 The room offers a queen sized pillow top bed, 1600 thread count sheets, with your own private, unattached, washroom with huge soaker tub. 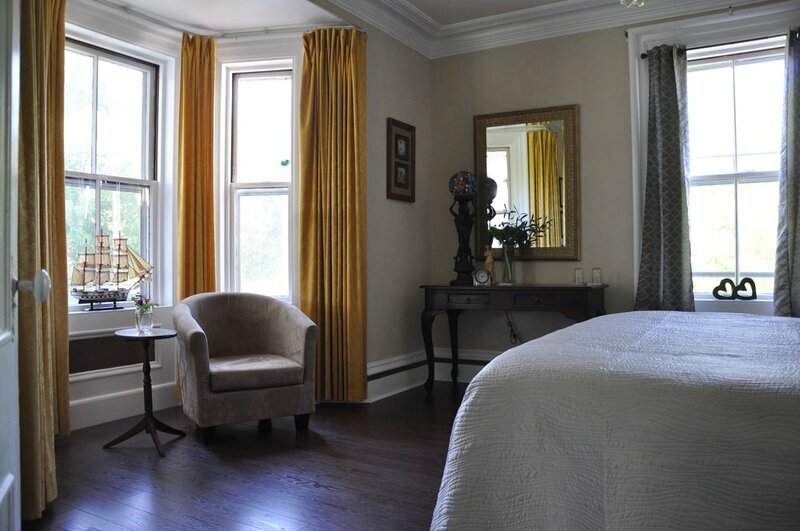 With a big beautiful bay window and sitting area, the room provides ample space to relax. The only room on the main floor of the house, across the hall is a comfortable sitting room with an array of books and games. The sun porch offers additional space to sit and relax and enjoy the afternoon sun. During our peak months June- September we have a one week cancellation policy, outside of that is 48 hours. "We stayed here for one night. It was a beautiful, quiet room and we got the good night's sleep we needed -- and had a good soak in the tub. Kelly and Danny have paid attention to every detail. They were very accommodating through texts that evening and amiable in person during breakfast, which was delicious.